Nadege Fleurimond is a great friend who I admire for always presenting great events. 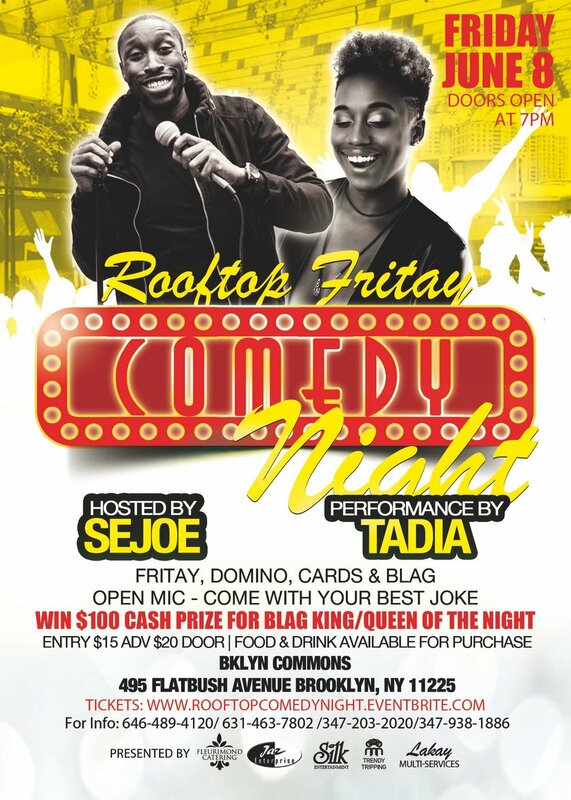 She is the founder of Fleurimond Catering and on June 8 at 7pm, she is bringing to Brooklyn a gathering of laughs, good fritay, games and ME. Buy your tickets in advance for $15 (the price of 3 Happy Meals) or you'll have to pay $20 at the door. We will START ON TIME! My Haitian people are only on time for 3 things: COMMUNION, RECEPTION & IMMIGRATION.